Euro is still moving inside flat pattern; earlier price rebounded from level of 61.8% and I decided to open buy order during the following correction. 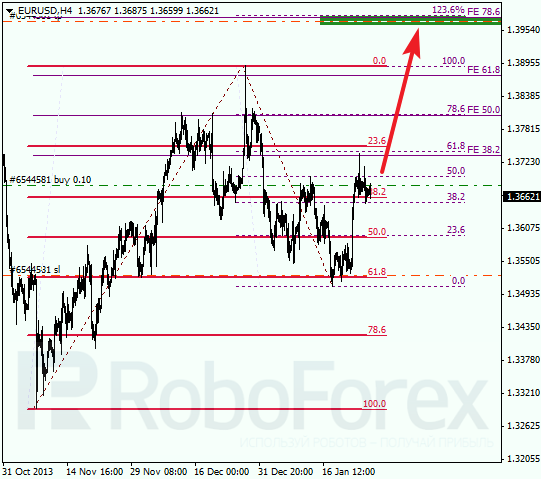 Main target for bulls is close to several upper fibo-levels, near 1.3960. 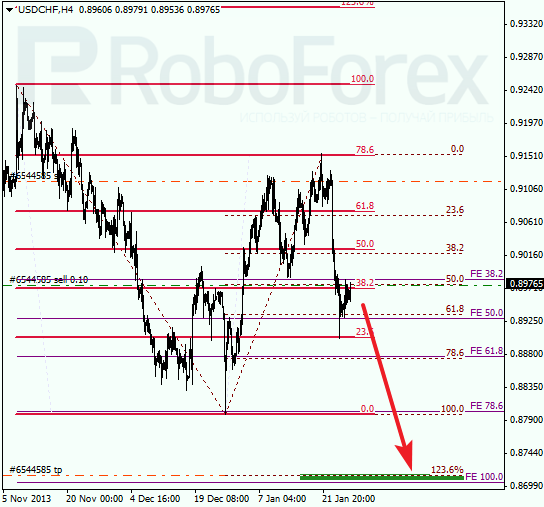 At H1 chart we can see, target of current correction is at local level of 50%. 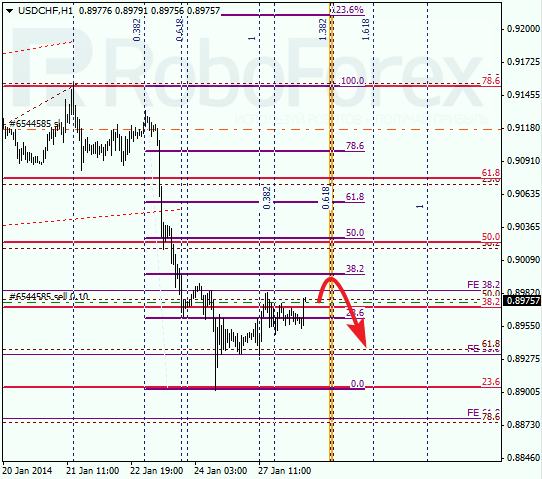 According to analysis of temporary fibo-zones, this level may be reached during the day. If later pair rebounds from it, I’ll increase my long position. Franc is also still being corrected; pair rebounded from level of 78.6% and started falling down. Price may yet move upwards for a while, but later it is expected to start new descending movement towards several lower fibo-levels. 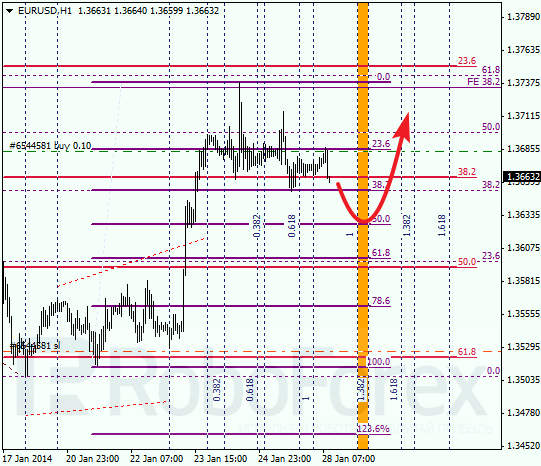 As we can see at H1 chart, bulls are pushing price towards level of 38.2%. According to analysis of temporary fibo-zones, market may reach and test this level during the day. If price rebounds from this level, I’ll open my second sell order during the following slight correction.